Before my readers from Porto and the ones from Lisbon get mad at me, this article is not to decide if Porto is better than Lisbon or vice versa. Firstly, because that discussion is totally useless: each city has its own charms and drawbacks. And secondly, because my goal for this article is to help people decide which one is better to visit. Now back to the topic. I was born and live in Porto, but for a period of time, I lived in Lisbon. Even though I hated every minute of my job, I ended up getting attached to the capital. 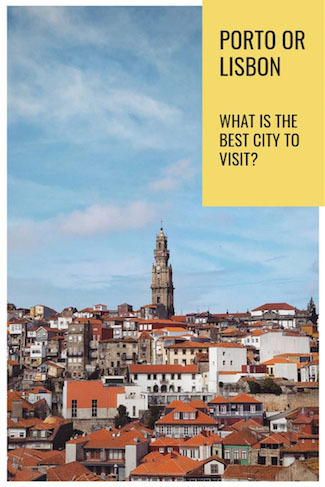 That’s why I wrote this article with an open heart so that anyone who is undecided between visiting Porto or Lisbon can have objective criteria to make a decision. So let’s do this! What is the best city to visit? Porto or Lisbon? This topic is daunting, but as the good engineer that I am, I went the extra mile and summarized some important numbers so you don’t have to. 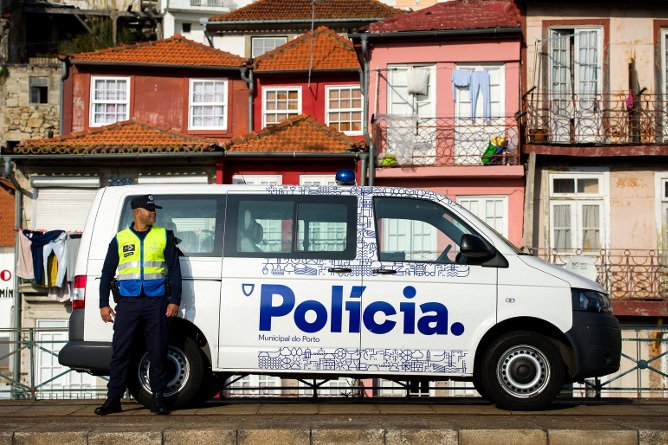 Overall, crime is undoubtedly higher in Lisbon than in Porto. And there has been a much larger record of violence in the city of Lisbon, according to the latest Annual Report on Internal Security (2017). But since it isn’t fair to compare absolute numbers of two districts with different population sizes, the same report states that the crime rate per 1000 inhabitants is significantly higher in Lisbon than in Porto. In both cities, there are, of course, crimes of opportunity and many drug traffickers offering their products in the middle of the street, which makes me extremely uncomfortable. 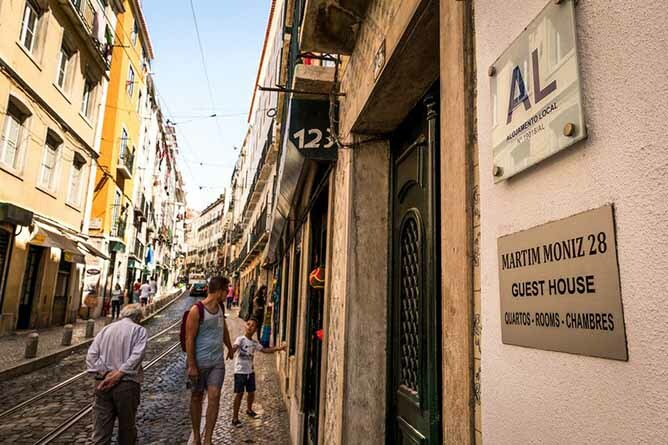 However, in Lisbon, cases of violence committed by private security guards of famous dance clubs, fights and even fatal shootings occur occasionally. It gives me zero desire to be in the wrong place at the wrong time in the capital. 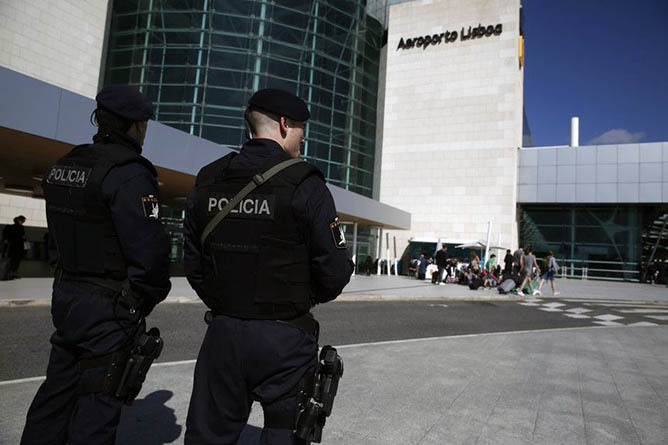 Porto or Lisbon: objectively speaking but simplifying a bit, Lisbon is more dangerous than Porto. 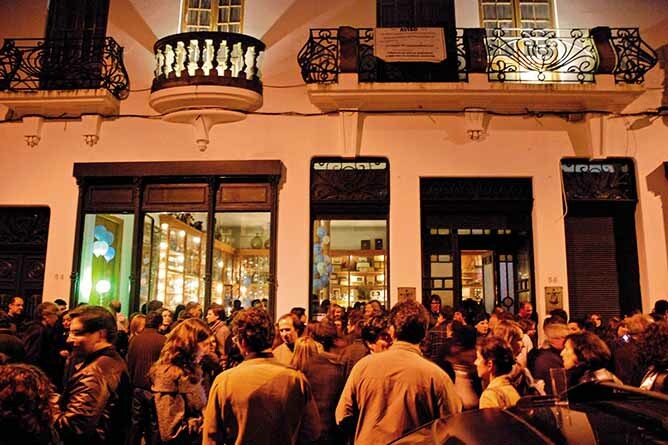 In Portugal we have a nightlife very similar to that of Spain: we eat late, we go out for a late drink and we return home, often in the morning. 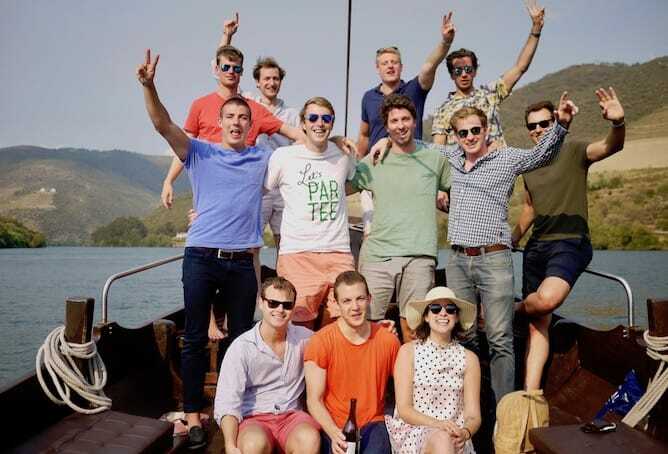 And like our nuestros hermanos, we have the habit of going to a bar to ask for a drink, then we drink it on the street, something that horrifies all my American readers. In Porto, we gather around 11pm / midnight in Praça dos Leões, the popular name of Praça Gomes Teixeira, a square in front of Café Piolho (the most important students’ cafe in Porto). Over there, you’ll find many grubby taverns where you can have beers and shots of mysterious alcohol at very low prices. After that, we typically move to the Galerias area – consisting of Rua das Galerias de Paris, Rua Cândido dos Reis and Rua Conde de Vizela. 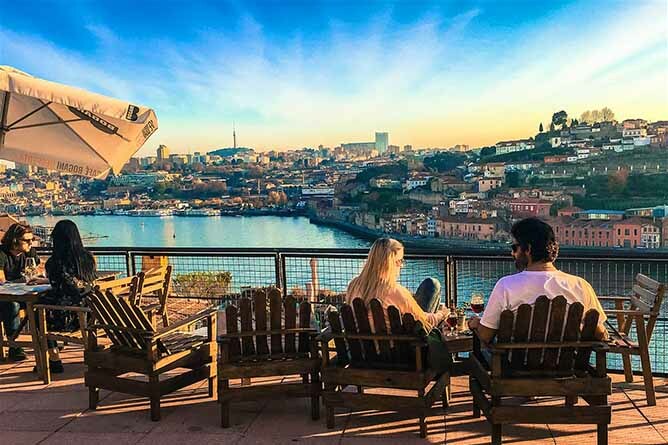 Here we can find the best bars in Porto where you can drink more sophisticated cocktails, show off your dance moves and socialize in the street. 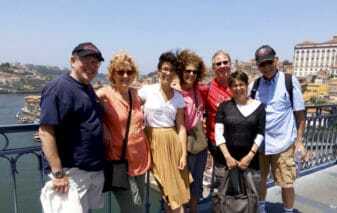 In Lisbon, the dynamic is similar to that of Porto, and it takes place in Bairro Alto. However, when I lived in Lisbon I got the feeling that there were more dance clubs there than in Porto. 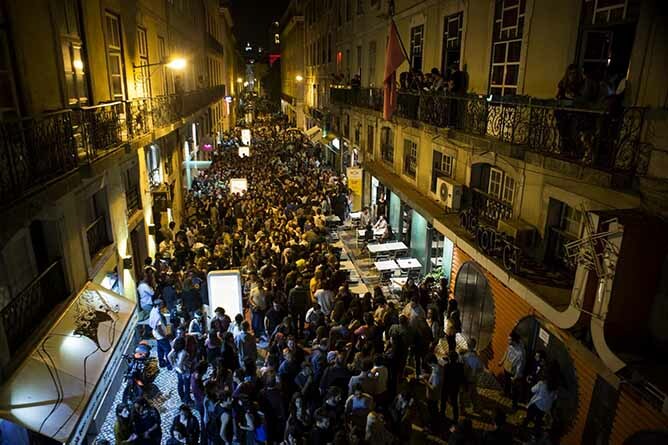 Porto or Lisbon: As far as nightlife is concerned, Porto or Lisbon are very similar. It is possible to use both cities as starting points to explore other beautiful areas. From Porto you can organize a one or two days trip to the Douro, Braga & Guimarães, Aveiro and Coimbra — all of them less than 2 hours away from Porto. From Lisbon, you can visit the Sintra, Óbidos and Fátima, as well as Alto Alentejo. 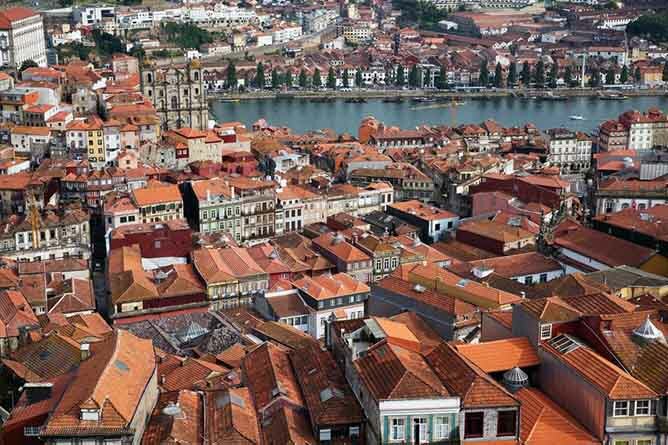 Now, there are some considerable differences; Porto is a much smaller city with a very charming medieval atmosphere. But in the center of Lisbon, which was rebuilt after the earthquake of 1755, it has a neoclassical environment. So if you only have a few days, maybe you should visit Porto. And finally, one important thing I missed when I lived in Lisbon: the river! Maybe you’re already frowning and thinking “doesn’t Lisbon have the river Tejo? !”, and that’s true. But in Porto, we have a much closer relationship to the Douro river than the people of Lisbon have to the Tejo river. 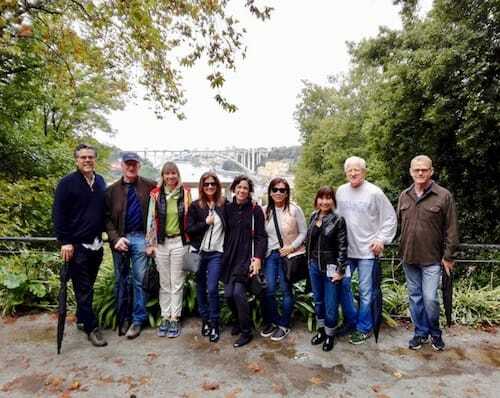 As the river is narrow, we can cross the famous Luíz I bridge on foot to Gaia and admire the beautiful view of Ribeira neighborhood – something that is unthinkable in Lisbon since the two banks are too far apart. 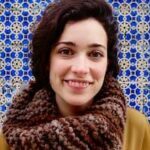 Furthermore, in Porto, we have huge sidewalks on the waterfront – whether on the Gaia side or on the Porto, Ribeira and Foz side – where we can have a drink, ride a bike, go rollerblading or just take the dog for a walk. In Lisbon, most of the riverside area is occupied by cargo containers, which is quite unfortunate. 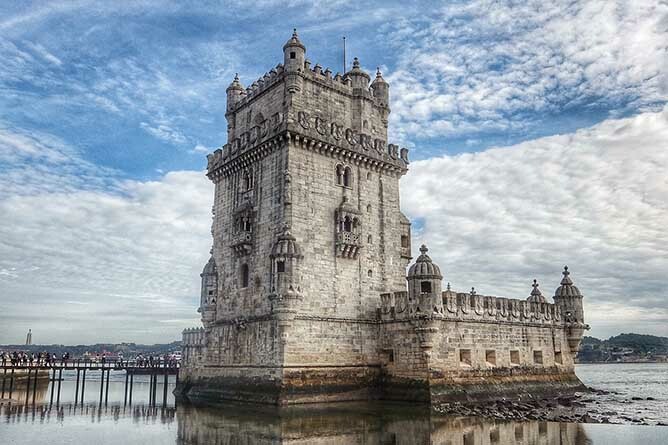 Porto or Lisbon: It is very difficult to choose between the two cities based on this criteria! It depends a lot on your traveler profile and with whom you are traveling (elder parents, your partner, small children, etc.). I suggest you think about the type of trip you want to have – will it be more focused on monuments, green areas, wines, etc. and choose Porto or Lisbon accordingly. Here is a point where I consider it completely different to be in Porto or Lisbon: access to cultural activities. I’m not much of a party person, but I love film festivals, dance shows, classical music concerts, and book fairs. And when I lived in Lisbon, I felt that I had many more options in this respect than I did when I lived in Porto. 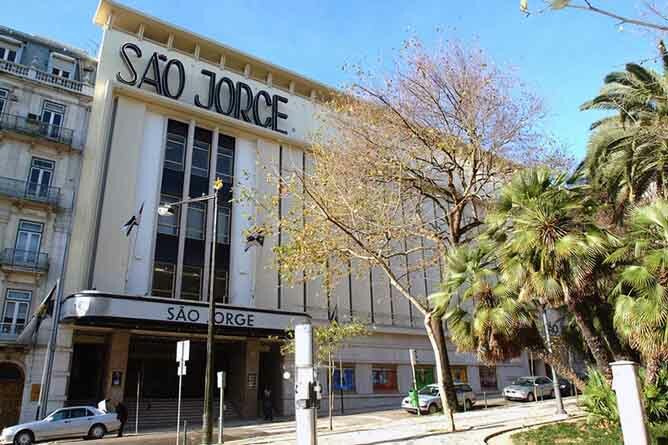 In Lisbon, there are several independent movie theaters (São Jorge, Nimas, Medeia Monumental, Ideal, just to name a few). They are theaters where movie cycles occur on a wide range of themes. I, a movie buff caught in a jungle schedule, had great difficulty keeping up with so much cinema offer! The same was true for theater and dance shows: it was an endless list of options! But the curious thing is that the shows were sold out very quickly, so I had to always be on top of things to get tickets. 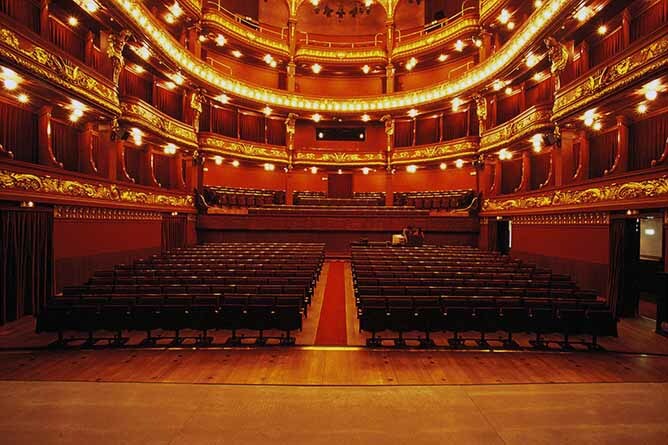 In Porto, things are more modest: we have an excellent theater (the São João National Theater), an amazing concert hall (Casa da Música) and a great performance theater (Rivoli). There are others, of course, but those I mentioned offer a fantastic schedule. Fortunately, things are changing, not only because of the investment that Porto City Hall has made but also due to private initiatives. However, realistically speaking, Porto is still not comparable to Lisbon. 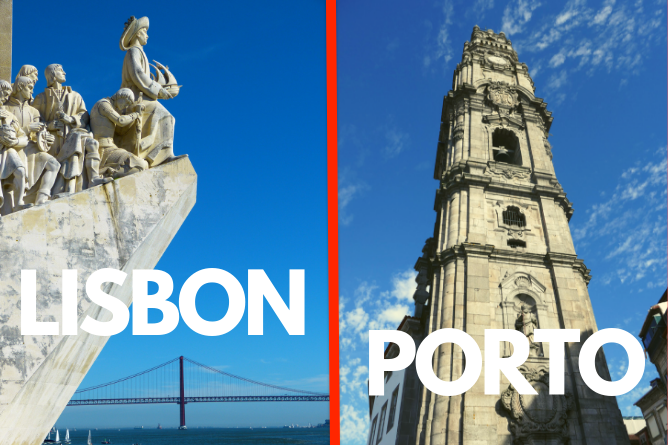 Porto or Lisbon: As far as cultural activities are concerned, Lisbon wins over Porto. This is a reality that was painful for me when I moved to Lisbon: if it is true that wages are higher in the capital, the expenses are too. I mean really expensive! In Porto, you can find lunch menus for €5 – €6 with a soup, the dish of the day and a drink. 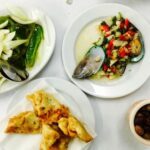 In Lisbon, I was never been able to eat for less than €8 – €10, which doesn’t seem a lot but it actually represents an increase of 60% compared to Porto. The same was true for dinner as well as having a drink or going out for coffee with friends. 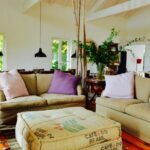 Regarding house or room rentals, the real estate market in Lisbon is really wild, due to the famous Golden Visa laws, the complete lack of regulation of the houses available on platforms such as Airbnb and real estate speculation. Unfortunately, with Porto having the highest tourist growth in the country, the rental costs are becoming as unbearable as in Lisbon. In relation to transportation, the two cities are very similar due to the recent introduction of a single monthly pass (which gives access to public transport). 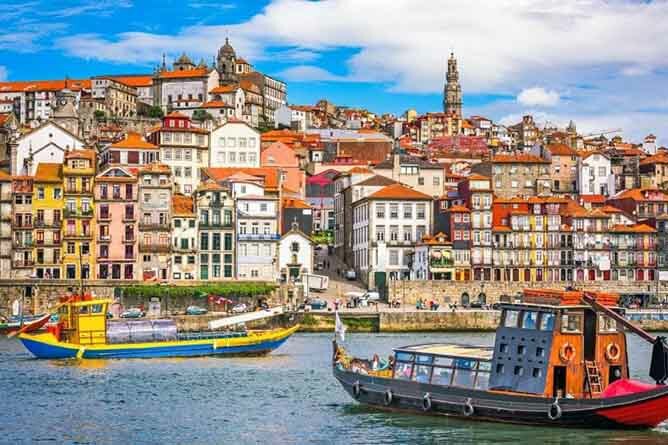 On the other hand, Porto is a city much more compact than Lisbon, therefore, you can go sightseeing on foot, which is ideal for those who spend two or three days here. There are Ubers and taxis in both cities at exactly the same circulation rates, but Lisbon is a bigger city with a lot more traffic. So you end up spending more money and losing more time on transportation if you’re in Lisbon. 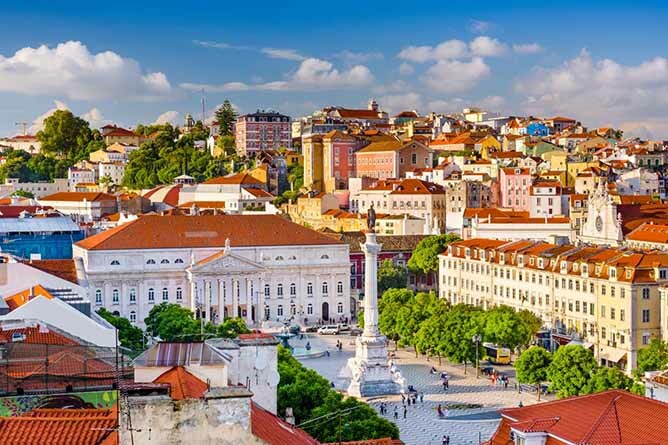 Porto or Lisbon: Although in recent years, prices have risen sharply in Porto and are increasingly getting closer to those in Lisbon, the fact is that visiting Porto is still cheaper than visiting the capital. 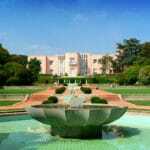 You will spend less money on transportation as well as visiting historical monuments. When I lived in Lisbon, I used to listen to comments all the time about the fact that Porto is very rainy and, therefore, a dark city. It was something that irritated me a lot but the truth is, the climate varies from one city to the other. According to data from the Portuguese Institute of the Sea and Atmosphere, it rained on average of 1186mm / year in Porto, while in Lisbon it rained on average of 774mm / year. On the other hand, average temperatures throughout the year tend to be higher in Lisbon than in Porto. 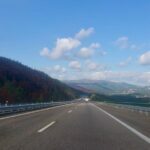 I remember a week in which daily temperatures exceeded 35°C (95°F) and for me, it was difficult to deal with all that heat that I wasn’t used to. 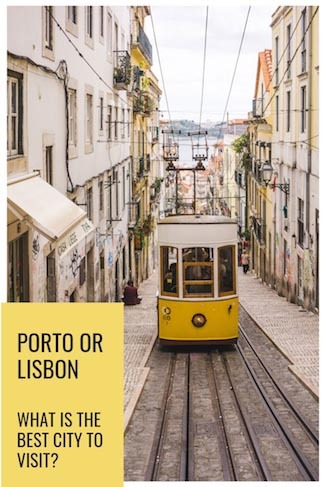 Porto or Lisbon: It depends on your preference – whether you like a colder climate or a warmer climate. If you’re traveling with children or with seniors I recommend that you avoid visiting Lisbon during the summer because the temperatures are unbearable and it can be dangerous.